This past year, the” Gyudon” has become an important part of our life. The obsession with meat and raw/half-boiled egg yolk on top of a bowl of rice started with a family brunch at Sumire Yakitori House in Singapore. 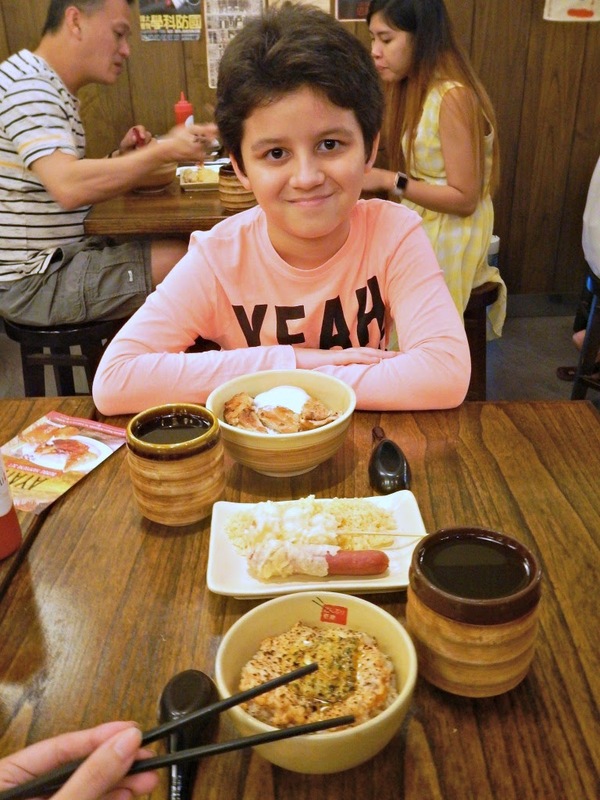 Located in Bugis, the Japanese restaurant was first discovered by Andrew’s uncle and aunt who reside in our favorite city-country. They stopped by there after church on Sundays and found the small restaurant delicious as well as homey. So there we were, trying out their menu. 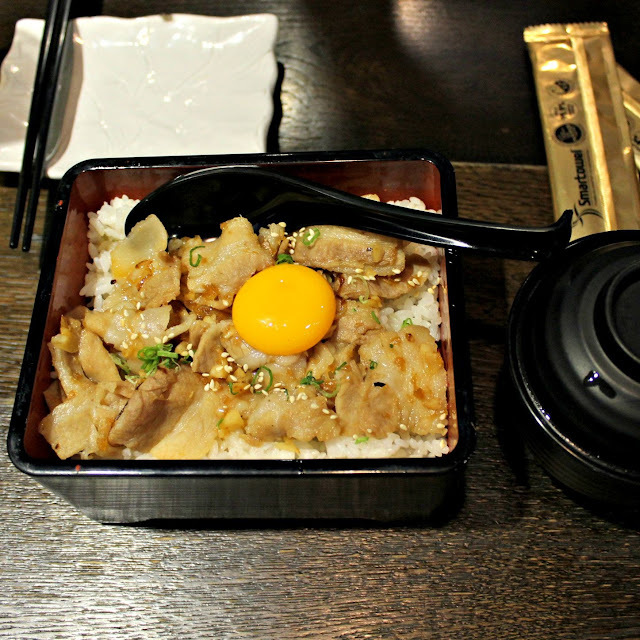 Their most delicious dish is called Stamina Don, stir fry pork belly rice with homemade ginger sauce and raw egg yolk. On our second visit to the restaurant, Andrew ordered two bowls and finished them out in no time. Andrew, needless to say, fell in love with their don and upon returning to Indonesia looked for a similar flavor with no match so far. Maybe because it’s pork? But I’m the kind of person who doesn’t believe that a single ingredient can make that big of a difference. It has to be the whole combination. 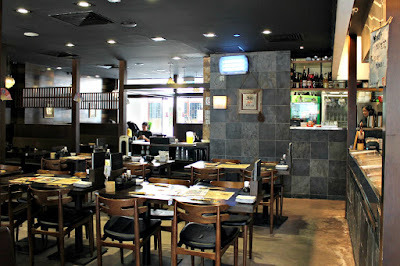 Sumire Yakitori House (80 Middle Rd, #01-88/89, Singapore 188966) is located in the same block with Ritz-Carlton in Bugis and Bugis Junction. On bus, just get off at Bugis (by where Long John Silver and Burger King are) and cross the road to the Junction block. On MRT you can take blue or green line to Bugis and find the Junction exit. Our last visit to the restaurant was on dinner, and we found out that they had changed the whole concept to eliminate the dons on dinner time. Andrew was disappointed but determined to return on lunch next time. So, to cure his disappointment, my cousins (who joined our Sumire dinner) took us to another Don place called En Sakaba at Orchard Central (#01-16 Orchard Central, 181 Orchard Road, Singapore 238896). The tiny Japanese kiosk apparently was just opened a few months and it served decent Japanese Don. Andrew ordered Yakiniku Onsen Tamago Don which is much closer to the regular Gyudon than the Stamina Don we’re hoping for. But it’s still as delicious. In Singapore, a don-set (including soup) costs at around SGD 12. While a la carte is around SGD 9-10. 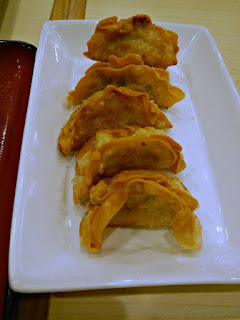 Unfortunately, we live in Indonesia and if we want to continue eating Don on a regular basis, we have to find a place that serves good, well, similar dish to Sumire. Setting pork aside here, we have wandered around to try different Dons in different Japanese restaurants. Some with eggs, some without and fortunately we discovered several places we’d likely return to whenever we miss the Stamina Don. 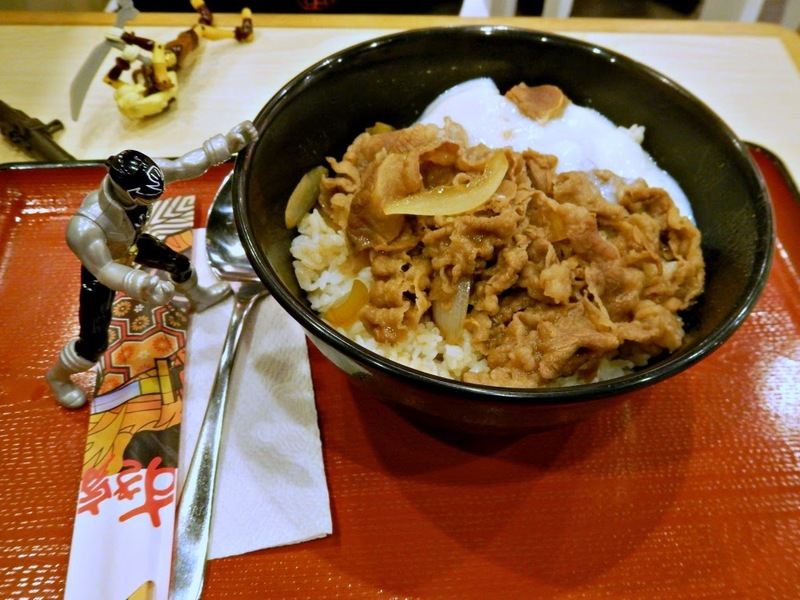 The first one is Donburi Ichiya (Lippo Mal Puri, LG-80, Kembangan, Jakarta Barat). I found this place long time ago, before the shopping mall was even opened. Dine here with my Lunch Getaway partner, Fiona, and once again with my other co-worker for dinner. It was on my second visit that I realized that Andrew might like the Don here. Plus, they have the mini size for me haha. So, one random weekend, we drove out to Lippo Mal Puri (it’s way out of our usual date area – another half and hour at least) for the Don. 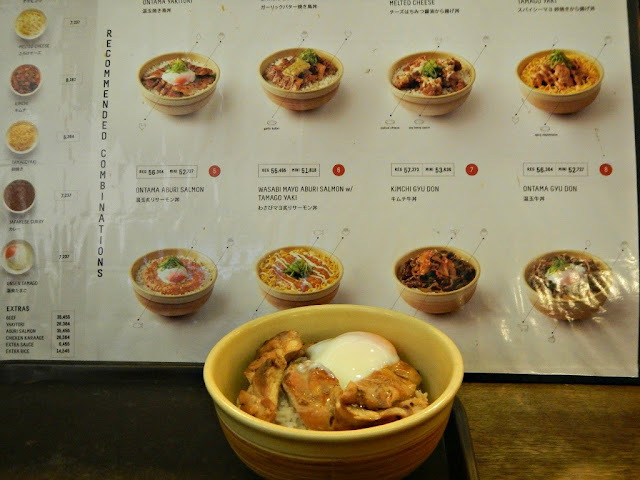 Andrew ordered Gyudon or Yakitori Don with ontama (egg) on top of it. I would go for the Salmon. Donburi Ichiya is quite unique because you can choose your toppings from spicy mayo, blackpepper, kimchi, cheese and many others. I usually picked garlic butter while Andrew topped his with Ontama. While the Dons here are delicious (and I can go less than Rp100k for both of us), but I always ended up too full even with the mini size. It prevented me from picking the fried stuffs because I worried that I won’t be able to finish everything. Andrew loved his though. Right taste, right portion, but still doesn’t beat the legendary Stamina Don. 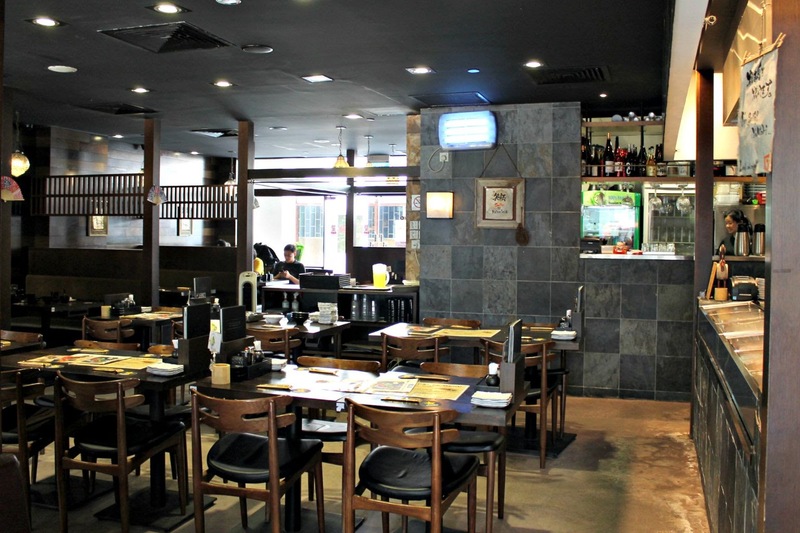 The restaurant’s seating area is small though, so it’s probably not the perfect place to eat with the whole party. Recently, another Don place opened at Mall of Indonesia, which is super close to where we reside on weekdays. So we gave it a visit. It turned out to be Sukiya (Mall of Indonesia 1st Floor, Unit 1-C8, Kelapa Gading, Jakarta Utara), which I had tried at Central Park several months before. 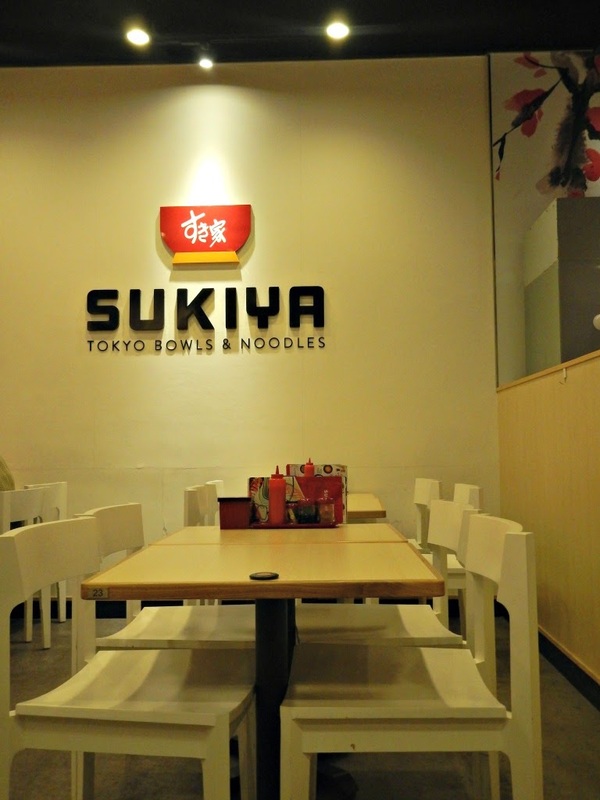 The one in Mall of Indonesia has more spacious and far brighter interior than any other Don restaurants we have visited (including Sumire). Again, here the Dons come in regular and large sizes. Andrew tried the Half-boiled egg Beef Bowl while I switched between Chicken Katsu Bowl and Chicken Katsu Curry Bowl. Eating here for two usually cost us around Rp150k. The taste is decent. It makes us happy but nothing special. And I still can’t finish the regular size. Haha. The Chicken Katsu Curry Bowl has too much chicken on it. When I first ordered, I didn’t expect chicken on the curry sauce as well. And surprise! 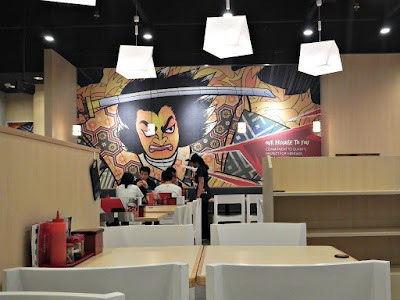 Another Andrew’s favorite Don spot is at a ramen restaurant called Ebisoba Ichigen (AEON Mall, Lantai 3, Ramen Village, AEON Mall BSD City). 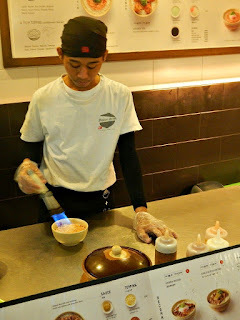 While I prefer its Aji-tama Sapporo Sio Ramen, Andrew would go for its Oyako Don (Rp30k). The Don here is affordable (it’s half the price of my Ramen) and tasty too. “Honestly I prefer the Don here than the other places,” Andrew said when I asked about the different Dons we’ve tried so far. The egg white isn’t that runny and it’s the right portion. Let's see if we can find a picture of this restaurant and its Don. Well, if all fails, Andrew would accompany me to Sushi Groove and asked the chef for a special Chicken Katsu Don, the one with runny egg yolk instead of the default omelette style. 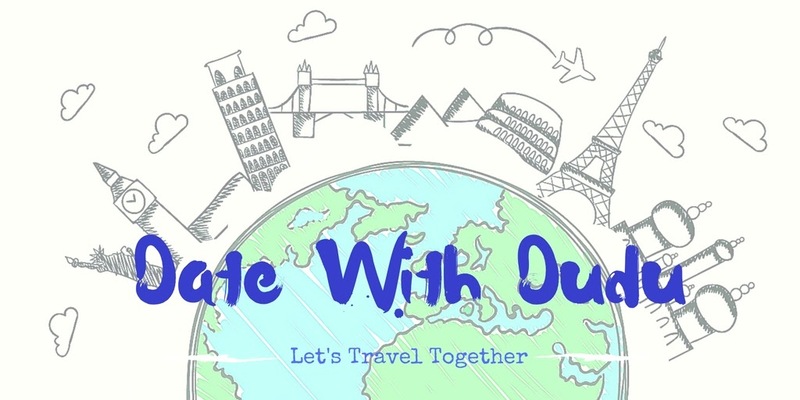 Do let us know if you happen to meet any Don dishes in Jakarta you'd like us to try.